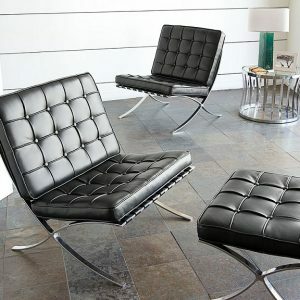 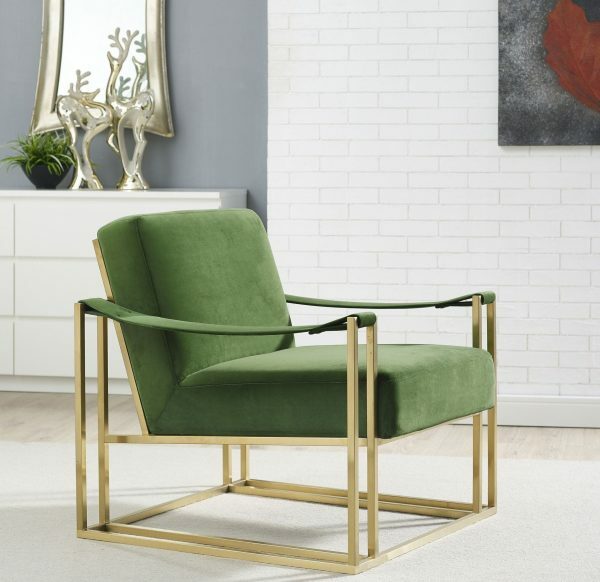 An instant favorite, the Baxter chair will dazzle in any room. This handmade beauty features a sumptuous green velvet upholstery and stands in sophistication on a steel gold frame. 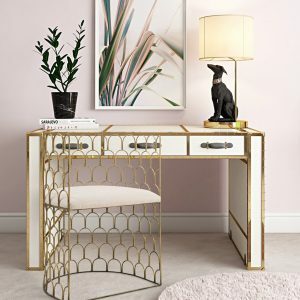 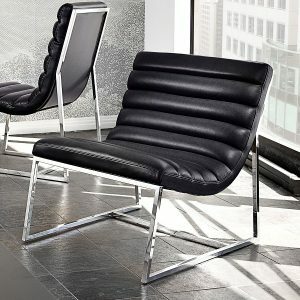 This eye-catching chair will add a unique angle to any space.